When you need a convenient and easy packaging solution, these header cards offer the perfect solution for your retail display products. 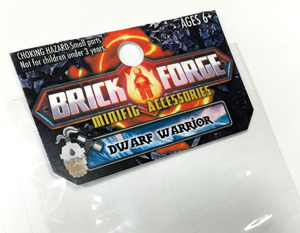 The header card is typically stapled to the top of the product bag, however we have gone a step further and added an adhesive back that will eliminate the extra step in the bagging process. At that point, the filled bags can be simply hung and displayed wherever needed, creating a fast and easy packaging and display option. This tag is 8.5 mil – folded together resulting in a 17 mil finished header card. The stock can also be scored for fast and easy folding (pricing is included). They offer a sturdy yet simple structure that is strong enough to hold over a pound. These header cards are affordable and effective packaging bag toppers and a great solution for a variety of different industries. This product is currently in stock and can be shipped in as little as 24 hours. Please Contact Us for more information.